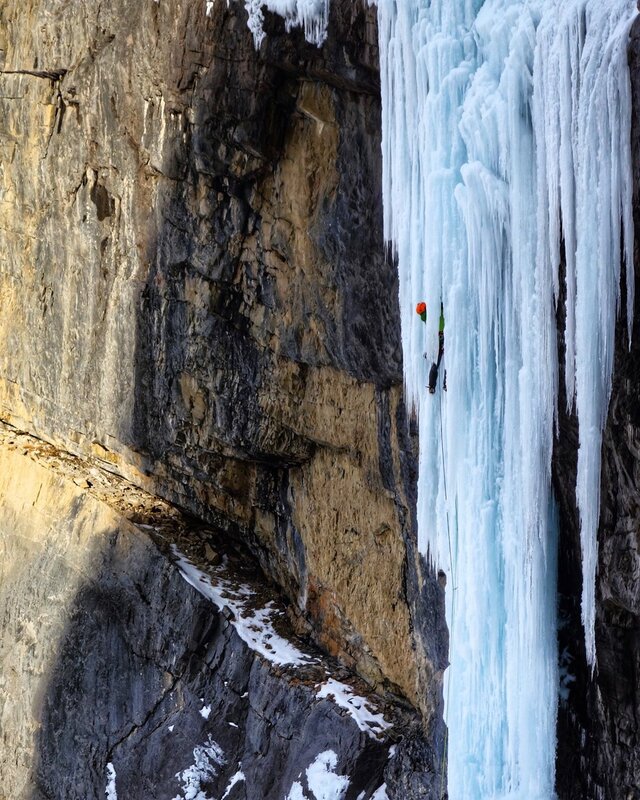 Water in its frozen state is for sure the element which inspired and challenged me the most in my life. 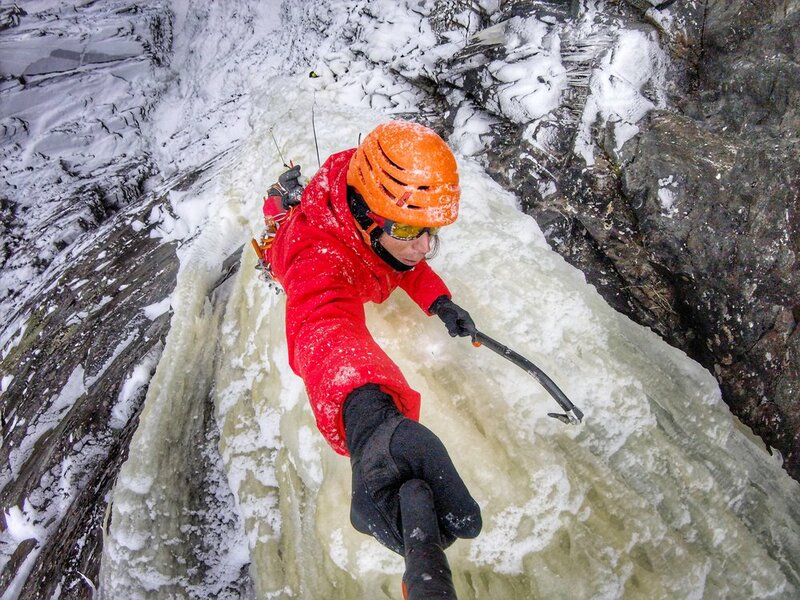 I started water ice climbing in winter 1993. Back then I ventured on little frozen steps. 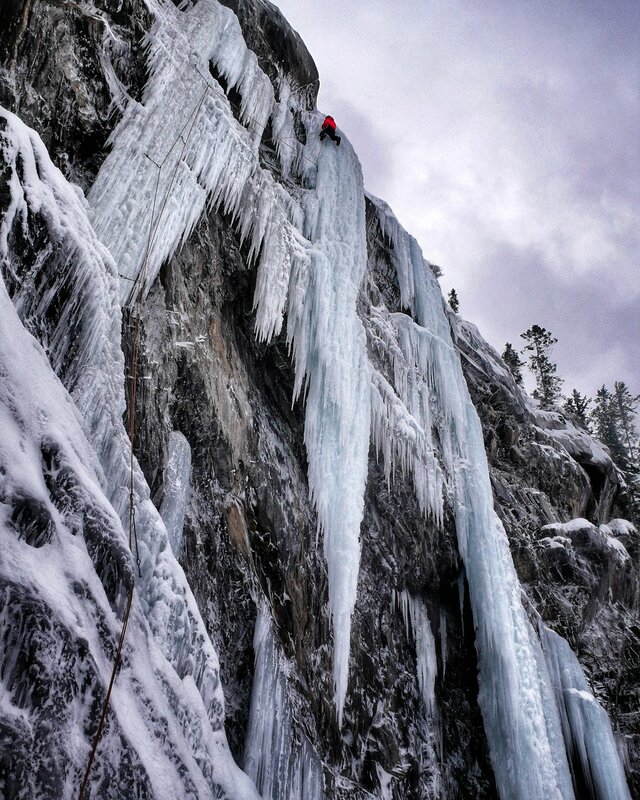 I climbed with one classic piolet and one ice hammer. 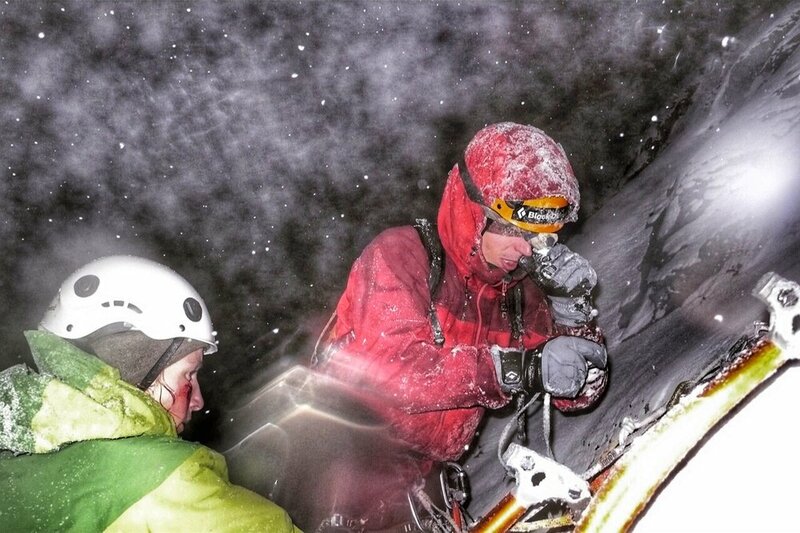 I wore touring ski boots and classic 12 point crampons with straps. Setting screws was a hairy business but it was possible to set them already free. Wearing big gloves was normal, so I had huge mittens and even with leashes I was always pumped. 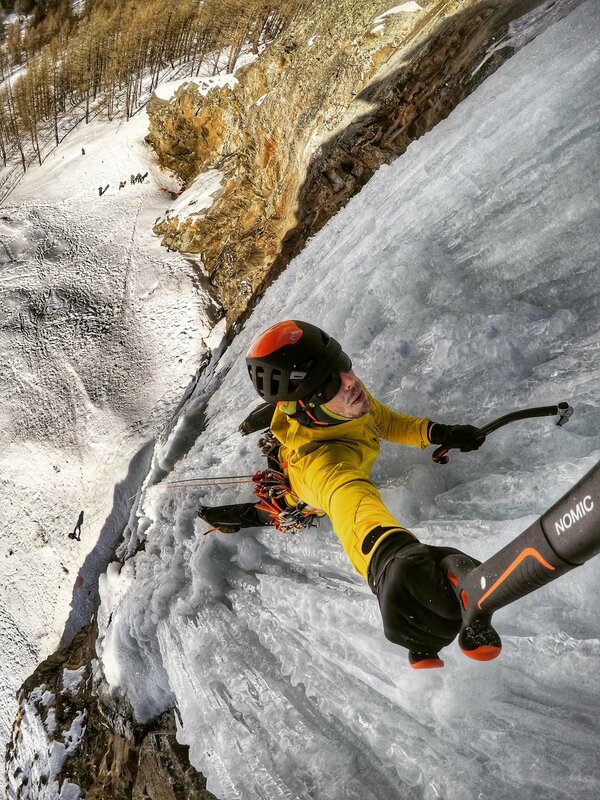 The big evolution in the ice climbing material over the last decade changed only two things - you can climb faster and you can do crazier lines. 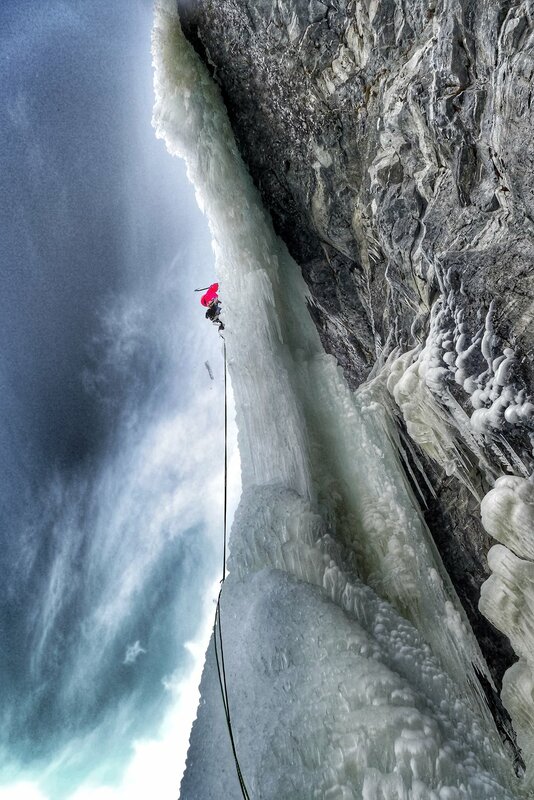 The ice in its true, unforgiving and very changeable character will always remain the same: a fantastic challenge!!! 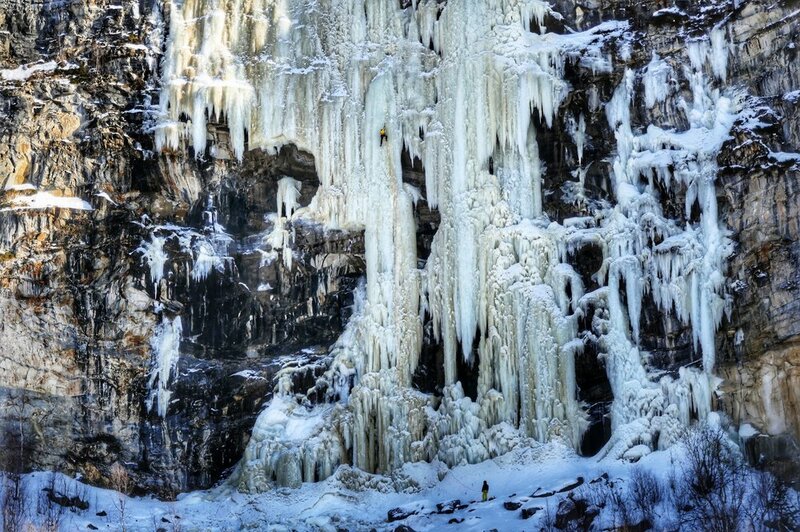 Below you will find the list of my favorite ice climbs on frozen water falls. Of course a lot of them are in the higher grade and objectively very dangerous but most important they all have been great experiences and I would not miss one memory - even when some are partly very painfully. 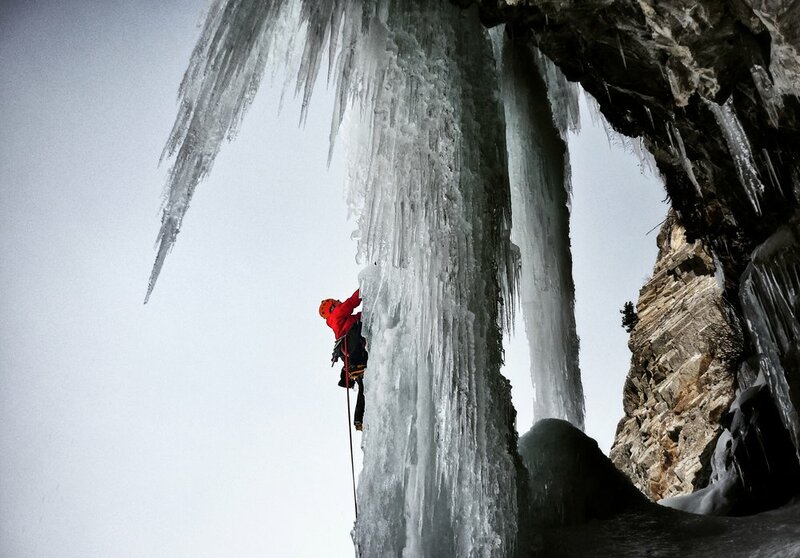 I like to thank my partner Tanja and also her twin sister Heike for many unforgettable days on the ice.